For insights from Zola expert Brian Nelson, see this fascinating article on the OUP blog. 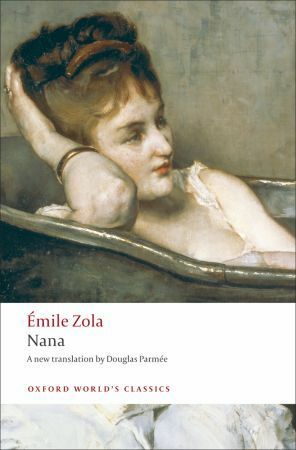 I started reading this several years ago but unusually, since I’ve loved every other Zola I’ve read, I couldn’t get into it and never finished it. But I’ve always had this feeling that I should give it another go, maybe i just wasn’t in the right mood for it at the time. Reading your comments have convinced me I should dig it out next year. You know, that happened to me with The Belly of Paris. All about food, I thought I would love it, but no. I do admire you getting through all of these books. I do want to try at least one someday. 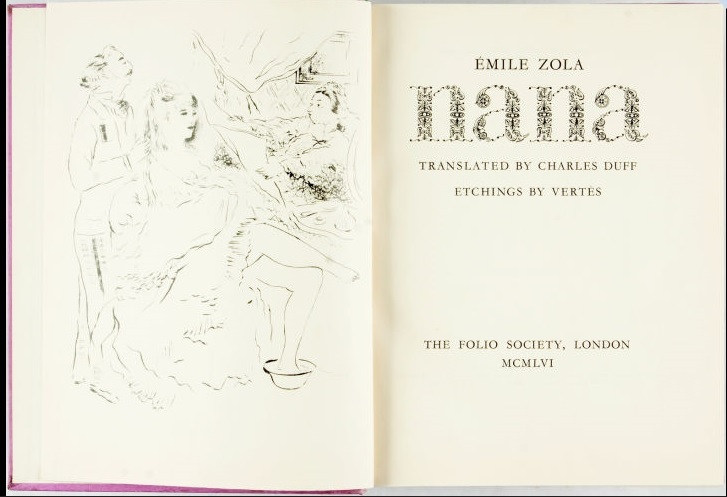 I saw a new release book today that I can’t think of the title at all, except to say that it had Paris in it, and I can’t even remember if it was fiction, but I think it was more likely biography about the woman that Nana was based on. Not a helpful description of the book I know. Will try to remember to look on the shelves when next I’m there. Oh, my, that sounds intriguing! You may have already found it by now, but I just saw the title in the Reading Christmas guide- it’s The Mistress of Paris by Catherine Hewitt. My first attempt at Germinal failed. But glad I tried again later. Really enjoyed it. I have read several of the Rougon-Macquart novels, but have recently started again from the beginning. For those who don’t know, BBC Radio 4 have recently begun a major dramatic series condensing the Rougon-Macquart series with Glenda Jackson as commentator, Aunt Dide. Excellent listening! iPlayer – http://www.bbc.co.uk/programmes/b06pphck – if the BBC allows you to listen to it in ANZ. Glad the link works, Lisa. The purists may not like these precis’d dramatisations but I think they are gripping and, in the broadcast time available, a good reflection of Zola’s work. I have always admired Glenda Jackson and her voice has lost none of its power. LOL I think I must be a purist, Steve! I only listened to half of one of them, and gave up. But if they bring people to trying out Zola for themselves, then that’s a good thing. I read this a long long time ago. There’s an exhibition at the moment at the Musée d’Orsay entitles Splendeurs et misères. Images de la prostitution, 1850-1910. I was there yesterday and there was a picture of Blanche d’Antigny, the real person who inspired Zola. This exhibition explained a lot about prostitution in Paris at the time. I’ll write about it soon in a post about Souvenirs d’une cocodette, écrits par elle-même, by Ernest Feydeau. I learnt that courtisanes were registered on police records and that their health was controled. Apparently, it was good for a man to publicly have a cocotte: it showed off his wealth and his virility. (I’ll never understand the workings of a man’s mind and where they put their pride). That might explain why there were so many canditates to support Nana and risk their fortune. Yes, that was the bit that surprised me in the novel: I knew that French courtesans were accepted in society, but I never thought that they could come from a background like Nana’s and that men would compete for her favours. I had always just assumed that the power lay with the men, not with the woman.